Dr. Schwab Moment Management® – effectively different and differently effective! The moment is decisive – go for it! Dr. Schwab stands for Moment Management® in coaching and in the development of executives. Mental strength, confidence & competence when it comes to immediate action make the decisive difference, qualifying you as a manager & executive before others. In this process, targeted training is the road to success: Moment Management® is the coaching strategy & at the same time your future strength – a goal we will be working towards together. 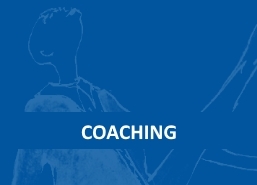 Constructive conversation, professional questioning techniques and immediately outlined solutions characterize the methodology of business coaching sessions by Dr. Schwab. The communication expert will accompany you as your sparring partner. Be it on in terms of staff leadership as well as regarding your personal development. You will identify your potential – he will develop new solutions together with you and show you new perspectives. How do I become a Moment Manager? Dr. Schwab will equip you with the required techniques and applicable success tools. This is how you will learn how to act empathically yourself and facilitate any needed perspective change. There is never just one right way, you need to reflect constantly and be open for new ways – every day, every minute. This is the only way you can manage to finally break old patterns, for the progress and innovation of an entire company is only possible through the progress of individuals. This applies for you as well as your employees. In Dr. Schwab Coaching, you will learn how to assess situations as an executive and to understand your team members’ views in order to initiate needed change processes. Now you will be able to take along your employees. As a Moment Manager, you act as your employees’ trainer. You will take your entire communication to a new level, excel with your consistent execution and solution skills. These capabilities characterize the methodology of Dr. Schwab’s business coaching sessions. Staff leadership, team building and personal development: Your goals and challenges are multi-dimensional – so are your tools. With Moment Management®, you will orchestrate every situation in a targeted and diplomatic manner.